An owner of property has a duty to keep the property in a reasonably safe condition in order to avoid an unreasonably dangerous condition that would pose a risk of injury to visitors and guests. A hotel owner, a store owner, a business owner, and even an owner of residential property, all have a responsibility to protect you from being injured while you are on their property. Even a tenant who rents property to run a business at the property, or to reside and live at the property, has a duty to make the property reasonably safe to avoid causing injury to you. If you have been injured as a result of an accident occurring while you were on someone else’s property, a California premises liability attorney at Injury Law Group can help you hold the property owner or tenant accountable for your injuries and obtain financial compensation for your injuries. When Is An Owner Responsible Accident on Property in California? Under the rule of premises liability in California, an owner of property is responsible for keeping their property in a reasonably safe condition so that it does not pose an unreasonable risk of injury to a guest or visitor. This rule applies both to businesses and private residences. If the property is being leased, then the tenant in possession of the property can also be held liable for injuries caused by the unreasonably dangerous condition of a movable item on the property or a fixture that was installed by the tenant in possession. Your premises liability lawyer at Injury Law Group will determine whether the owner or tenant, or both, are responsible for your injuries and will bring a claim against all appropriate parties to recovery financial compensation for your injuries. Whenever you are injured on someone else’s property, there is an owner who owns that property and that owner may be held responsible for your injuries caused by the defective or dangerous condition at the property. This assumes that the owner did not take reasonable measures to protect against injury to its guests. 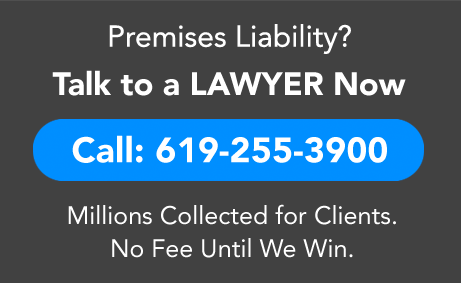 If the accident that caused your injury occurred despite the owner having taken reasonable measures to protect the safety of its guests or patrons, then you may not have a claim against the owner. For example, in trip and fall cases, whether a store owner is liable for a defective step that you tripped may depend on whether the owner knew about the defective step or took reasonable measures to repair the defective step upon being notified of the dangerous condition on the premises. A tenant in possession of property who is operating a business at the property, or who is renting and living at the property, also has a duty to property in a reasonably safe condition so that it does not pose an unreasonable risk of injury to guests. The tenant in possession has the same liability of the owner, with a small twist: the company or person who is a tenant in possession of the property is responsible only for injury caused as the result of the dangerous condition of movable things on the property such as tables and chairs and equipment, or things that were caused by the tenant, such as spills or fixtures that were defectively installed so as to pose a risk of danger to patrons. Similar to the owner’s liability, whether a tenant in possession can be held responsible for the dangerous or defective condition on the property may turn on whether the tenant took reasonably measures to inspect and rectify the dangerous condition. For example, in slip and fall cases, if the spill was caused by another store patron (as opposed to the store or its employees), whether the store or management is responsible for your injuries will turn on whether they took reasonable measures to inspect and clean up the spill. If the spill was caused by store personnel, then the store will always be liable because a reasonable store would clean up its own spill immediately upon causing the spill and because the store was the cause of the spill. As an injured person, the law states that you have a duty to act reasonably cautiously at all times, including when you are on someone else’s property. Under the doctrine of comparative fault in California if your injury is partly due to your own carelessness or negligence and partly due to a dangerous condition on property and partly due to your own fault. Any amount of compensation that you may be entitled to receive will be reduced according to the percentage of fault that is attributed to you. This is the rule of contributory negligence. If you suffered an injury while on the job at your place of employment as the result of defective or dangerous property or premises, you cannot sue your employer. California workers comp law prohibits you from suing your employer for accidental injuries on the job. Instead, you must bring a workers comp claim in the Workers Compensation Appeals Board. This assumes that your employer has workers compensation insurance. If your employer was uninsured (in California all employers are required to have workers comp insurance), then you can sue your employer for civil damages in Court in addition to bringing a workers comp claim and the Uninsured Employer’s Benefits Trust Fund (also called the Uninsured Employer’s Fund) may pay claim. Also, the workers comp rule applies only to accidental injuries. If your employer intentionally harmed you (for example, your employer punched you in the face), you can file a lawsuit against your employer and are not limited to workers comp benefits.